My research interests include Multi-Objective Problems in Production Scheduling, Soft Computing applied in Manufacturing Problems and Development of Genetic Algorithms. I have published some research works in some international journals, such as Computers & Operations Research, Expert Systems with Applications, Applied Soft Computing, Applied Mathematical Modelling, Annals of Operations Research, Applied Mathematics and Computation, International Journal of Production Economics, and etc. Chang, P. C., S. H. Chen, and C. Y. Fan (In Press), A Genetic Algorithm with Injecting Artificial Chromosomes and Markov Chain for Single Machine Scheduling Problems" International Journal of Information Technology and Intelligent Computing, 3(1). Chang, P. C., S. H. Chen, and V. Mani (2007), Single Machine Scheduling for Jobs with Individual Due Dates and a Learning effect: Genetic Algorithm Approach," International Journal of Computational Science, 1(2), 215-223. Shih-Hsin Chen, Yi-Hui Chen and Yu-Cheng Kuo (2018), Supervised Learning in Estimation of Distribution Algorithms, the 48th International Conference on Computers and Industrial Engineering (CIE48), Auckland, New Zealand. Chen, S. H. and Y. H. Chen (2017), A Content-Based Image Retrieval Method Based on the Google Cloud Vision API with WordNet, 9th Asian Conference on Intelligent Information and Database Systems (ACIIDS 2017), Kanazawa, Japan. Chen, S. H. and V. Mani and Y. H. Chen (2015), Bi-criterion Single machine scheduling problem with a past-sequence-dependent setup times and learning effect, 2015 IEEE International Conference on Industrial Engineering and Engineering Management (IEEM 2015), Singapore. Chen, S. H. (2014), A new single machine scheduling problems with dynamic arrival time and setup consideration in a common due date environment by using the Inver-over CX, 8th International Conference on Bio-inspired Information and Communications Technologies, Boston, USA. Chen, S. H., and Chen, Y. H. (2014). A New Estimation of Distribution Algorithm to Solve the Multiple Traveling Salesmen Problem with the Minimization of Total Distance. In Intelligent Data analysis and its Applications, Volume I (pp. 103-111), Sheng-Zhen, China. Chen, S. H, Y. H. Wang and C. B. Wang (2013), Quantity and Price Indicator for Technical Analysis in the Stock Market, Proceeding of The 27th Annual Conference of the Japanese Society for Artificial Intelligence, 2013 (JSAI 2013), Toyama, Japan. Chen, S. H. and Chen, M. C. (2011), Bi-Variate Artificial Chromosomes with Genetic Algorithm for Single Machine Scheduling Problems with Sequence-Dependent Setup Times, Proceeding of Congress of Evolutionary Computation 2011 (CEC 2011), New Orleans, U.S.A.
Chen, S. H. and Chen, M. C. (2011), Operators of the Two-Part Encoding Genetic Algorithm in Solving the Multiple Traveling Salesmen Problem, The 2011 Conference on Technologies and Applications of Artificial Intelligence (TAAI 2011), Taoyuan, Taiwan. Shih-Shin Chen, Min Chih Chen, Pei-Chann Chang, and Qingfu Zhang (2009), Development of Effective Estimation of Distribution Algorithms for Scheduling Problems, 2009 Multidisciplinary International Scheduling Conference (MISTA 2009), Dublin, Ireland. Shih-Shin Chen, Pei-Chann Chang, Qingfu Zhang (2009), A Self-guided Genetic Algorithm for Flowshop Scheduling problems, Proceeding of Congress of Evolutionary Computation 2009 (CEC 2009), Trondheim, Norway. Shih-Shin Chen, Pei-Chann Chang, Min Chih Chen, and Yuh Min Chen (2009), A Self-guided Genetic Algorithm with Dominance Properties for Single Machine Scheduling problems, 2009 IEEE Symposium on Computational Intelligence in Scheduling (CISched 2009), Nashville, TN, U.S.A.
Shih-Shin Chen, Pei-Chann Chang, Qingfu Zhang (2008), The Self-Guided Genetic Algorithm, Proceeding of 2008 International Conference on Intelligent Computing (ICIC 2008), Shanghai, China. Pei-Chann Chang, Shih-Shin Chen, Qingfu Zhang (2008), MOEA/D for Flowshop Scheduling Problems, Proceeding of Congress of Evolutionary Computation 2008 (CEC 2008), Hong Kong. 5. Pei-Chann Chang, Shih-Shin Chen, Wei-Hsiu Huang (2007), A Sub-Population Genetic Algorithm II (SPGAII) for the Bi-Criteria Knapsack Problem, the Second International Symposium on Intelligence Computation and Applications (ISICA 2007), Wuhan, China, September 21-23, 2007. Jih-Chang Hsieh, Shih-Hsin Chen, Pei-Chann Chang (2007), "Application of Artificial Immune System in Constructing a Financial Early Warning System: An Example of Taiwanese Banking Industry", Second International Conference on Innovative Computing, Information and Control, 2007. ICICIC '07, Kumamoto, Japan. Pei-Chann Chang, Shih-Shin Chen, Qiong-Hui Ko, Chin-Yuan Fan (2007), A Genetic Algorithm with Injecting Artificial Chromosomes for Single Machine Scheduling Problems, in Proceeding of 2007 IEEE Symposium on Computational Intelligence in Scheduling (CISched 2007), Hawaii. Pei-Chann Chang, Shih-Hhin Chen, Shih-Min Hsiung, Chin-Yuan Fan (2007), A Genetic Algorithm with Dominance Properties for Single Machine Scheduling Problems, in Proceeding of 2007 IEEE Symposium on Computational Intelligence in Scheduling (CISched 2007), Hawaii. Jih-Chang Hsieh, Pei-Chann Chang, and Shih-Hsin Chen (2006), Integration of Genetic Algorithm and Neural Network for Financial Early Warning System: An Example of Taiwanese Banking Industry, in Proceeding of International Conference on Innovative Computing, Information and Control (ICICIC' 2006), Beijing. Hsieh, Jihchang, Pei-Chann Chang, and Shih-Hsin Chen (2006), Genetic Local Search Algorithms for Single Machine Scheduling Problems with Release Time, in International Federation for information Processing (IFIP), Volume 207, Knowledge Enterprise: intelligent Strategies in Product Design, Manufacturing, and Management, eds. K. Wang, Kovacs G., Wozny M., Fang M., (Boston: Springer), pp. 875-880. Chiang, Y.M. and S.H. Chen (2004), A Novel Approach to Improve Computation Efficiency of Order-Picking Problem in Distribution Centers, in Proceeding of Operational Research and Technology Management 2004 (ORTM), Taipei, Taiwan. Chiang, Y. M., S. H. Chen, and K. C. Wu (2004), A Study on Order-Picking and Stock Location Assignment in Distribution Centers, 2004 Annual Conference of Chinese Institute of Industrial Engineering, National Cheng Kung University, Taiwan. Chiang, Y. M. and S. H. Chen (2003), The order Picking Problem in a Distribution, Greater China Logistics Forum 2003 ¡V Contemporary Logistics Academic Conference, Hong Kong. Chiang, Y. M. and S. H. Chen (2003), Solving Order Picking Problem by Cluster Analysis and Tabu Search, CSMOT 2007 Annual Conference, Hsingchu, Taiwan. Chiang, Y. M. and S. H. Chen (2003), A Prune-and-Search Algorithm for Solving Optimal Number of Clusters in Storage Location Assignment, International Conference on Informatics, Cybernetics, and Systems 2003, Kaohsiung, Taiwan. Chiang, Y. M. and S. H. Chen (2002), Web-based information system for distribution centers, Proceeding of International Journal of Industrial Engineering and Management, Korea. Convergency Analysis of Some Estimation of Distribution Algorithms in Detail, Technical Report 200901, NanHua University. Method for creating form validation program and corresponding form interface according to result set metadata, US Patent (US 9514115 B2), 2016/12/6. 提升文圖搜尋結果相契合最佳化的搜尋過濾方法 (SEARCHING AND FILTERING METHOD FOR MATCHING OPTIMIZATION OF TEXT AND IMAGE SEARCHING RESULTS)，中華民國專利(TW I647580 )，2019/01/11. 以外來鍵對映資料表自動產生下拉式表單欄位之方法 (METHOD FOR AUTOMATICALLY GENERATE FIELDS OF DROP-DOWN MENU BY FOREIGN KEYS CORRESPONDING TO DATA SHEET)，中華民國專利(TW I608406)，2017/12/11. 從資料表欄位註解產生網頁程式與對應表單介面之方法 (METHOD FOR GENERATING WEB PROGRAM AND CORRESPONDING FORM INTERFACE FORM ANNOTATION OF TABLE FILED )，中華民國專利(TW I524197)，2016/03/01. 從資料集詮釋資料產生表單驗證程式與對應表單介面之方法 (METHOD FOR GENERATING FORM VALIDATION PROGRAM AND CORRESPONDING FORM INTERFACE FROM RESULT SET METADATA )，中華民國專利(TW I522824)，2016/02/21. 2009/8/6: "How to generate diversified and good fitness solutions in evolutionary algorithms?" School of Computer Science & Electronic Engineering, University of Essex, Colchester, UK. 2009/8/7: "The Development of Effective Estimation of Distribution Algorithms (EDAs)," School of Computer Science at the University of Birmingham, UK. 2010/12/24: "How to give a speech in English?," The Department of Applied Information Sciences, Chungshan University Hospital, Taiwan. 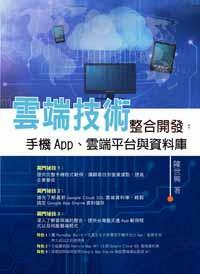 2011/12/27: A tutorial of the three major cloud computing platforms: Amazon EC2, Google App Engine, and Dropbox, The Department of Information Management, WuFeng University, Taiwan. 2012/6/11: My Personal Experiences of the cloud computing to the mobile App development, the Dept. of Information Management, Yuan-Ze University, Taiwan. 2012/7/4 to 7/5: Cross platform mobile App development, Yuan-Ze University, Taiwan. I like to give my special thanks to my co-authors in these joint works. Dept. of Information Management, Yuan-Ze University, R. O. C.
Dept. of Aerospace, Indian Institute of Science, India. School of Computer Science and Electronic Engineering, University of Essex, UK. Department of Logistics and Maritime Studies, The Hong Kong Polytechnic University, HK. Copyright © 2019 (Shih-Hsin Chen).